Camping near Last Dollar Mountain outside of Telluride Saturday night, our low tire pressure gauge lit up the darkness. Deciding we’d deal with it in the morning, we awoke in the woods to steady rain and a flat tire. We shredded Shane’s orange tent for signal flags, prepared a wet wood fire for smoke signals, and planned which one of us would be eaten first. As we stared down Keenan, he suggested we put on the spare tire. After lengthy debate and multiple tribal council meetings, we jacked up the car and moved along on our spare. A wrong turn took us on the most roundabout route to Durango, but we settled in well visiting one of Keenan’s friends, Andy, at Animas Brewing Company. Andy offered us a place to crash for the night, and we were able to start our Monday morning with a mission: fix a flat. Luckily, it only needed a quick patch and $15 later Julius was back on all four legs. Breakfast beckoned us to Oscar’s Restaurant (an absolute gem of a diner), and we found our way to a nearby grocery store for nail clippers. It’s impressive how fast they still grow when fed a diet of beef jerky and sugary drinks. At the checkout counter an incredibly friendly cashier asked which state we were from. “Minnesota,” we answered in unison. “Oh, I know another guy from Minnesota,” she replied. 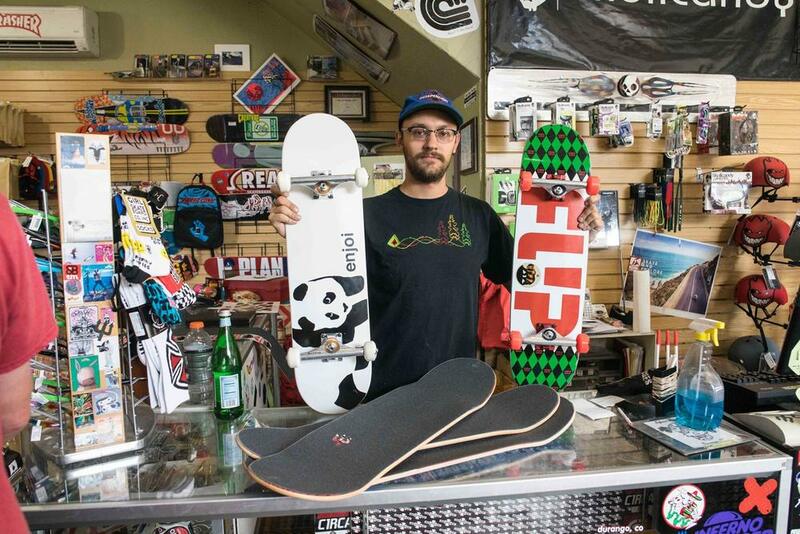 “He’s a friend of mine and owns the local board shop downtown. You guys should check it out.” Her name was Hilda, and she widened our eyes to yet another serendipitous moment for Project Wildness. The previous evening we were driving and tossing around ways we could positively affect the lives of others’. 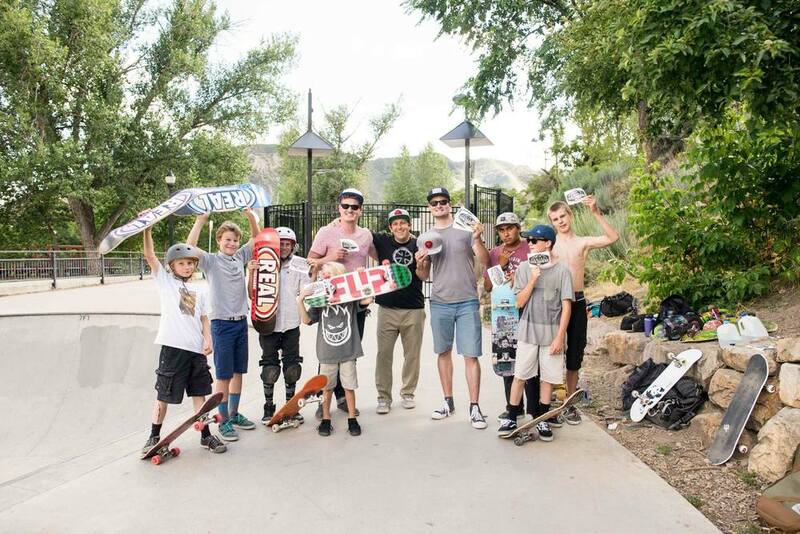 We settled on visiting a skate shop in Durango and seeing what we could do for some young local skaters. It was as if Hilda knew exactly what we were doing in connecting us to a Minnesota man running a downtown skate shop! 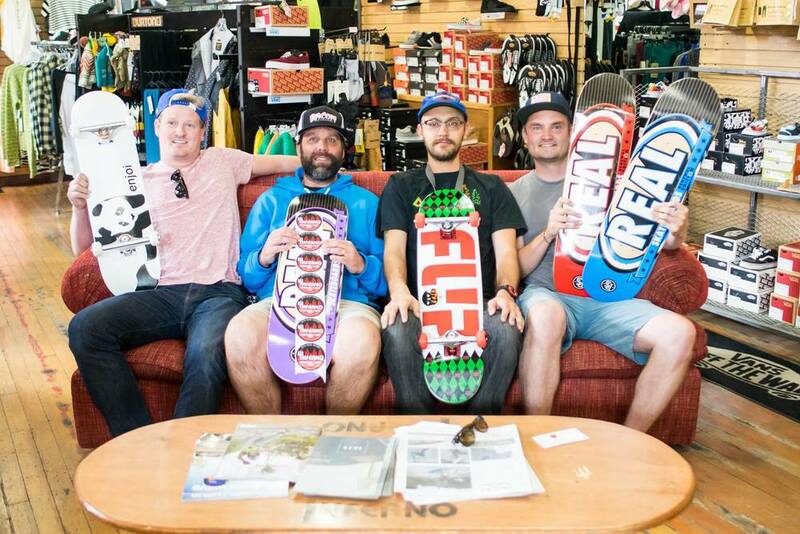 We quickly drove to check out INFERNO BOARD SHOP, a local board shop owned by Mike from Duluth, MN. We shared our story with the first shop worker we met. “Where in Minnesota?” was his response. Immediately, we knew we were talking to Mike. He’d even graduated from U of M Duluth where Shane and I went to college! Mike was every ounce of Minnesota nice and was on board with our project before we’d even finished our story. He steeply discounted the merchandise we were going to buy, hardly making back what he’d put in to purchase them, and we walked out with two brand new complete skateboard set-ups and three new skateboard decks. We took the new gear over to the local skate park and immediately realized our 16-year-old skater perceptions of ourselves were nowhere near as cool as the five young guys we met. They ranged from 8 to 19 years old but every one of them skated better than either of us in whatever prime we might have had. We chatted up the group and they continued to impress us flying up and down the walls of the deep bowl. Meanwhile, Shane and I rolled back and forth on flat land with brand new boards underfoot. The main goal: not falling. 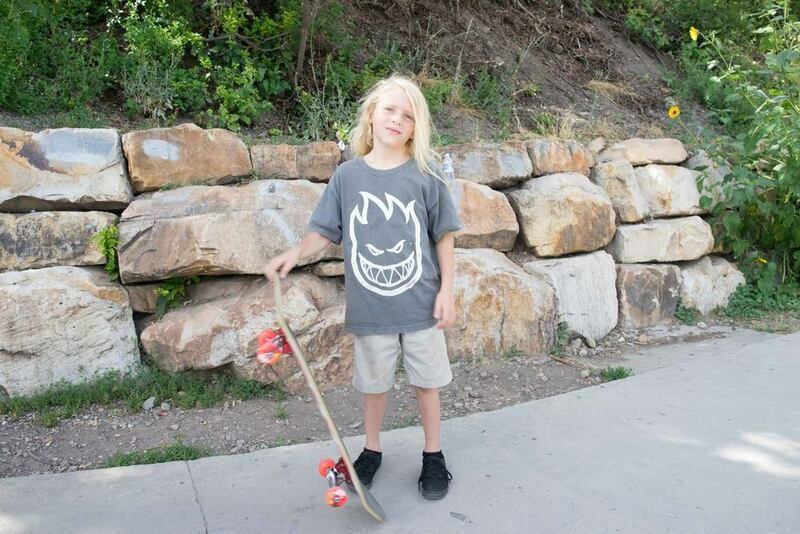 An 8-year-old named Levi was the first to approach us with some pointers on how to “ollie.” With some more advice from 14-year-old Zach, we decided to have them ride our boards to show us how it was done. Levi looked over the new board and explained how it was built sturdy and would ride well, and Zach used the other new board to launch himself up the sides of the bowl. Little Levi took home a new board that day. And the older boys all walked away with new skateboard decks provided by your support and the “Minnesota nice” of a man named Mike. To Molly and Jason… The work you do with young people every day is admirable to say the least. You take pride in the great groups of students you work with, and I’ve seen firsthand how much they grow academically and personally because of your dedication of time and care. You see it as fulfilling rather than overwhelming and just know those efforts don’t go unnoticed by those around you. Today what you gave went to another group of young boys from Durango, CO, and boy, were they grateful! And so are we – thank you! To Ken and Rhonda… We grew up skateboarding with your son and have created lasting friendships with you and your family over the years. It felt too fitting to pass on your generosity to some young guys who reminded us so much of those days with Avery! Just know the smiles you generated with that donation are ones we won’t soon forget. Thank you both for your support! To Alisha N… You requested we use your donation to help out a child in need. While these kids might have had their basic needs met, they were incredibly focused on a passion found early on: skateboarding. With your help, we were able to provide a much needed bit of reassurance to the hard work these kids put in each day to get better at what they love. Your donation surely helped keep these boys skating down the right track. For that, we thank you!